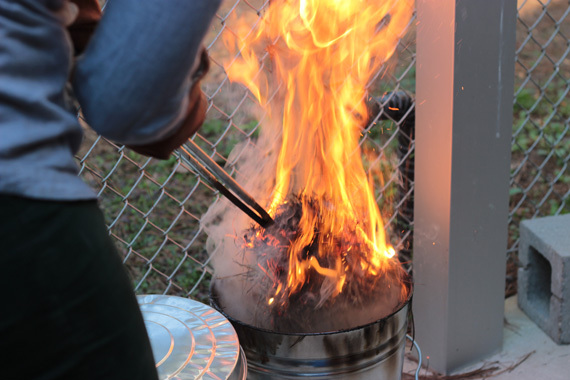 The Ceramic program at FSU focuses on each student’s individual art practice in the overlapping worlds of contemporary art, craft, and design. 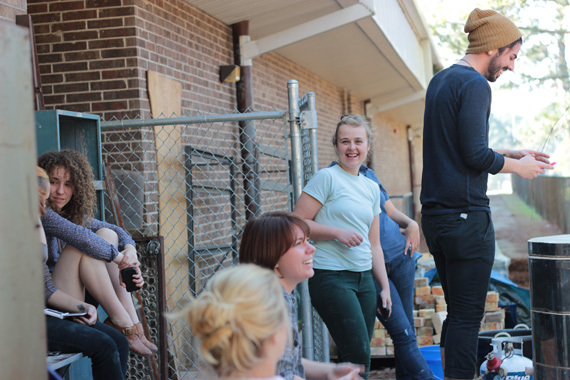 Students learn traditional and contemporary approaches to using ceramics in an interdisciplinary studio art program. 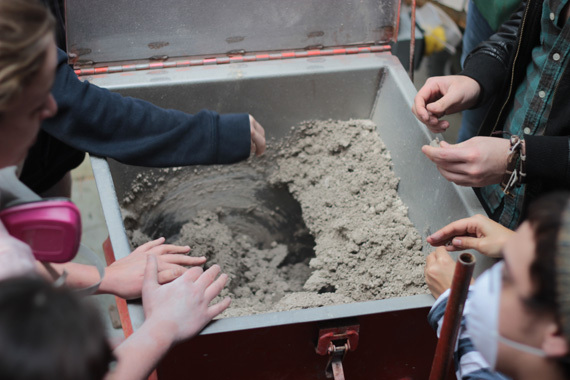 Through guided technical and critical inquiry, students find their voice to experiment with both non-traditional methods along with the traditional processes in ceramics to create innovative artwork. 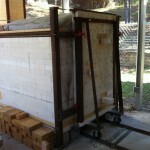 At FSU, an artwork in ceramics can be massive or mini. Sculptures can be tangible objects or part of a site-specific project. 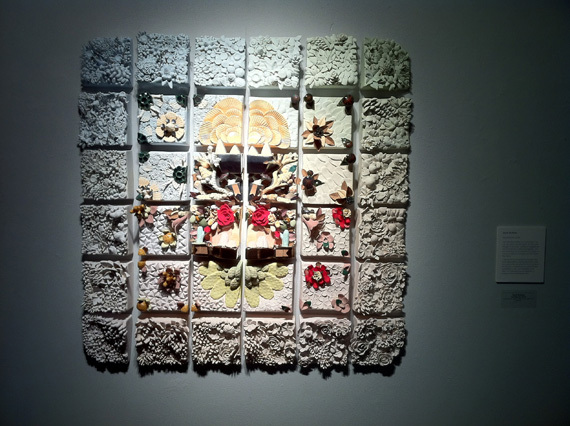 Ceramics can cover architecture as polychrome tiles, become part of an act of political satire, or be used as a form of craftivism when combined with a social agenda. Ceramics can be used in performances as a malleable form like the human body. We are aware of ceramics strong connection to material culture by our daily use. We are amazed by ceramics science fiction future, which includes extruded wet clay and high-resolution dry ceramic 3D Printing, yet we are respectful of the long history of ceramics. We have moved into a new realm where it can take many forms and is no longer tied to a direct lineage. 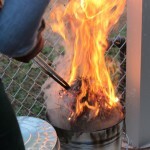 It can be captured as a fleeting moment as a process or stay for an eternity when fired to its highest temperature. 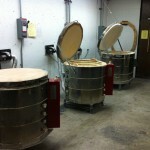 The undergraduate ceramics program is housed next to sculpture on the ground floor of the Fine Art Building. 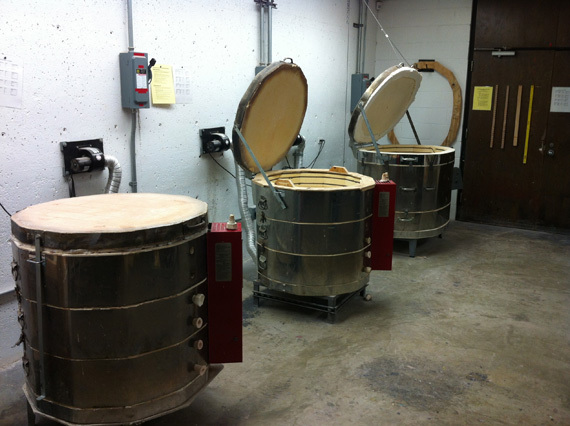 Students taking classes in ceramics have access to glaze mixing, plaster mold making, a slab roller, an extruder, 12 electric wheels and digital electric kilns. We have a Critique / Seminar Room for looking at artwork and to see presentations. There is also access to a laser cutter and to other digital processes through the fablab. 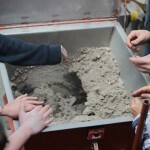 Clay mixing and specialty atmospheric raku and soda kilns are located off campus at the MFA Warehouse for community firings of student work. 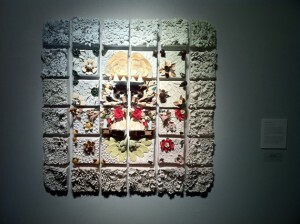 The Ceramics program at FSU promotes an interdisciplinary approach to using ceramics in a studio art practice. 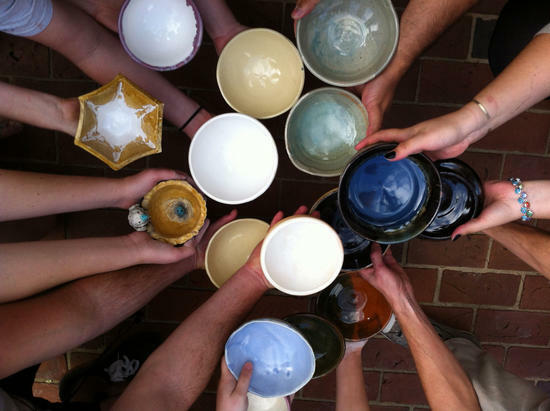 Students learn ceramics both traditional and contemporary approaches within the worlds of craft, contemporary art, and design. Students are provided a contemporary context, historical antecedents, and cutting edge technical information along with critical and rigorous mentorship to find their voice in creating innovative artwork. The Ceramic + Digital Program combines electronic media with hand skills in real time to create contemporary art with a ceramic focus. Incorporating new technologies into the curriculum provides our students the tools necessary for wider opportunities in the future of ceramic art. All students who are passionate about ceramics and community can be part of the “Ceraminoles Clay Collective”. They raise money, go to workshops, participate in the national ceramics conference (NCECA) through fun activities, and volunteer on community service projects. 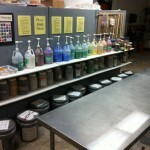 The undergraduate ceramics program is housed adjacent to sculpture on the ground floor of the Fine Art Building. 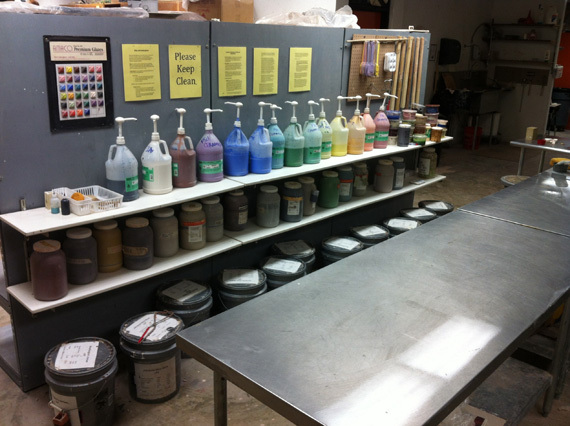 Students taking classes in ceramics have access to glaze mixing lab, plaster mold making area, a slab roller, an extruder, electric wheel room, and digital electric kilns. There is also access to a laser cutter and to other digital processes on the 4th floor. 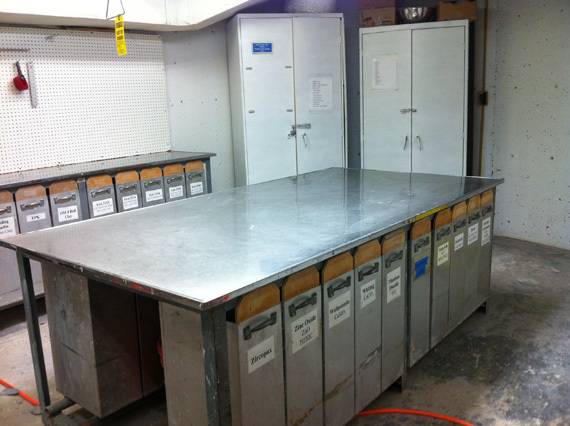 Our BFA program is housed in an off-campus facility where each student is given private studio space. These studios are housed in a building designed for key card access. 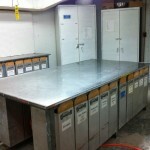 There is a BFA computer lab and installation project space and public BFA only exhibition space for showing work. There is bus service from the main campus to the Carnegie Arts Facility. The Ceramic graduate program is research driven and interdisciplinary, which focuses on each student’s individual art practice. Critical and technical guidance is given through faculty discussions, advanced course work and the rich interactive graduate community dialogue in an environment of shared facilities. The MFA studios are housed in a separate off-campus facility where each student is given ample private studio space and 24-hour key card access. 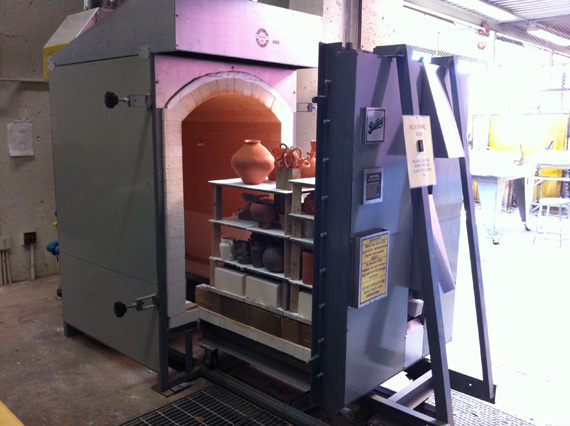 Additionally there is a separate Ceramics facility that has a communal room for creating larger works, wheels, slab roller, a wet 3D printer, glazing area and areas for indoor electric kilns and outdoor kiln pad for gas, soda and raku kilns. In addition there are a computer lab and multiple installation project rooms and MFA only exhibition space available for showing work. 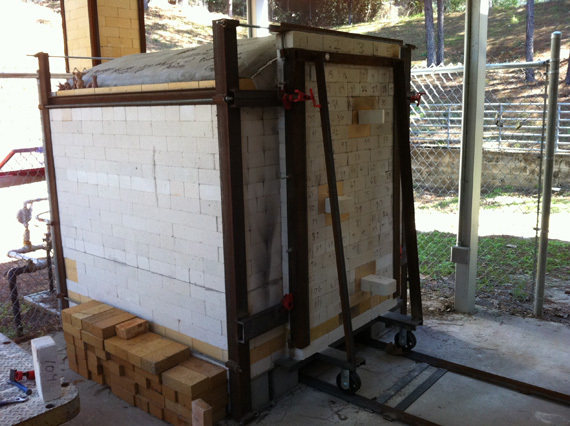 In 2013 the Ceramics Area began using a wet ceramic 3D printer created by Jerry Horne, an engineer from the High Performance Material Institute. This 3D ceramic printer extrudes any type of wet clay, which can then be hand manipulated. 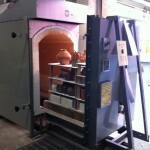 In addition, the printed and hand manipulated forms can then be fired using traditional electric, gas, soda, or wood kilns.